Taking a day to relax aboard a luxury cruise boat or yacht with a glass of fine Tasmanian sparkling and a picnic basket full of gourmet local produce is an essential Great Eastern Drive side trip. Cruising on the east coast gives you an opportunity to truly unwind, and take in the full spectacle of the region’s scenic beauty and diverse wildlife (and spoil yourself a little at the same time). Offers tours aboard the luxury vessel Schouten Passage II, travelling around the coast from Coles Bay to Wineglass Bay. Cruises operate daily between September and May (except Christmas Day) and include a gourmet Tasmanian ploughman’s lunch, featuring luscious Tasmanian produce, hand crafted by the head chef at Freycinet Lodge. Luxury yacht tours from Coles Bay aboard the custom-built Beneteau Oceanis 41 yacht Volante. Tour options include half day, full day and sunset cruises and overnight charters. Take the helm or let your skipper show you the Freycinet coast as you sit back and relax with delicious Tasmanian food and wine. Freycinet Charters operates out of Coles Bay and offers private and personalised small group charters around Freycinet Peninsula. 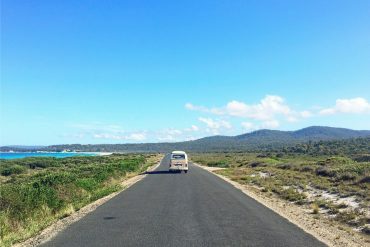 Presents you with a unique chance to experience the beaches, peninsulas and walking trails of Maria Island, Freycinet Peninsula and Schouten Island. Choose from four or six day experiences sailing aboard the luxury ketch Lady Eugenie to each of your walking destinations. Enjoy gourmet dinners onboard or under the stars on an east coast beach and sleep in the comfort of the Lady Eugenie’s cabins each night. Family-operated Beach and Boat, at Orford, offers flexible, catered or self-catered boat charter options and day trip cruises to Maria Island and Spring Bay aboard the sailing vessel Mater Cara, as well as waterfront holiday accommodation in Orford. 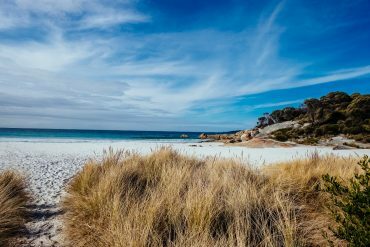 Offers 2-3 hour tours to the Bay of Fires, The Gardens and St Helens Island departing from Binalong Bay aboard the ecotourism vessel Infurneaux. You can take a half-day, day or longer to enjoy a cruising experience on the east coast. Guided cruises range from half-day experiences to multi-day itineraries, and private charters can be tailored to suit your timing and budget.